ADD/ADHD or attention deficit disorder and attention hyperactivity disorder is known as a chronic condition resulting in impulsive behaviors, lack of focus and challenges with sustaining one’s attention. What is occurring in someone’s neurological system that is challenged with ADD/ADHD? Scientists are finding that a dopamine shortage could be one of the main problems in these chronic conditions. Dopamine is a chemical neurotransmitter associated with our attention, memory and cognitive function. Someone with ADD often has information overload. Essentially, too much information is flooding into the receptors of the brain causing confusion. When the system overloads, over and over impulsive behavioral patterns result. The common drug of choice for ADD/ADHD has been Ritalin which was approved by the Federal Drug Administration in 1955. Things like Adderall and Ritalin work to increase dopamine shortages, yet come at a serious expense to your body. In fact, so much so, that The Food and Drug Administration (FDA) requires a “black box” warning on all methylphenidate drugs, including Ritalin. Medical studies have proven Ritalin carries an enhanced risk of serious, or even life-threatening effects. 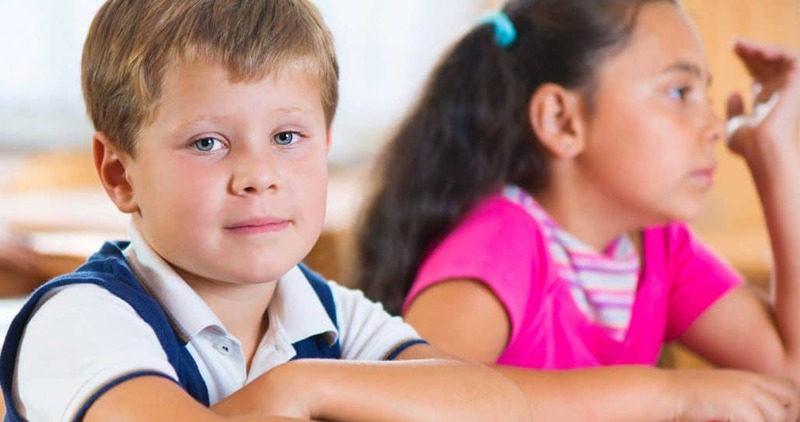 Research is showing that there are other more natural approaches to healing ADD/ADHD. Therapeutic doses of cannabinoids could ultimately correct the dopamine deficiency so many ADD/ADHD patients suffer with. In fact, Dr. Bearman has seen much success with his own patients, utilizing proper dosages of cannabis. Dr. Bearman goes on to share that what we are really seeing is what is known as an endocannabinoid deficiency. This could suggest our inherent cannabinoid system is simply lacking in vital nourishment from cannabinoids so the neurotransmitters cannot fire effectively. We are becoming increasingly aware that the brain function is interrelated to our endogenous cannabinoid system and with time more studies will help to validate these findings. Another major connection to ADD/ADHD is the health of our gut microbiome. Because the gut acts as our second brain this is fundamental in solving ADD/ADHD. Increasing studies suggest that the if the tight junctions of the gut are not well sealed we notice a condition called leaky gut. In fact 75% of people with ADD have a leaky gut. A study conducted in 2011 by the British Journal of Pharmacology found that Phytocannabinoids from cannabis (specifically THC and Cannabidiol) have been shown to decrease the intestinal permeability of the gut wall, while simultaneously increasing the tight junction proteins of the gut, specifically protein claudin-1. This particular protein is vital in cell to cell adhesion which helps keep the gut lining strong which ensures proper communication with your brain. This indeed is a very crucial aspect to a healthy focused individual as the gut is now known as the second brain. Nourishing the body with cannabinoid rich plants could be a natural approach to solving the ADD/ADHD condition. The History of ADHD: A Timeline. Healthline. http://www.healthlin...story#Overview1. Published February 26, 2015. Accessed November 15, 2016. Ritalin (methylphenidate) Side Effects and Warnings. Drug Enquirer. http://ritalinsideeffects.net/. Accessed November 15, 2016. Is Cannabis Good For ADHD? Leaf Science. http://www.leafscien...abis-good-adhd/. Published January 22, 2016. Accessed November 15, 2016. Linking ADHD to a Leaky gut? Naturopathetarian. http://naturopatheta...to-a-leaky-gut/. Published November 15, 2015. Accessed November 15, 2016. Leaky Gut Syndrome: Cannabinoids and the Endocannabinoid System (ECS) as a therapeutic target. SC Labs. http://sclabs.com/ab...tic-target.html. Published November 12, 2014. Accessed November 15, 2016. We are being lied to and our children are being poisoned. Cannabinoids are in other foods besides cannabis however before this explosion in disease there were many more cannabinoids in the standard American diet for adults and children the same. Cannabinoids are not only a non-toxic food, they are mandatory for adult and child health and even pets. People must wake up. Cannabis has been with us since the dawn of man. The plant was cultivated and used for not only food, fiber, but of course for its essential cannabinoids. The primary focus of these cannabinoids was not so much for their psychotropic effects but for the medicinal benefit these cannabinoids provided for people. These cannabinoids would heal the sick and wounded and were used in treatments to heal not only the body but the mind as well. During the 1800’s and very early 1900’s cannabis medicine was sold in local pharmacies, but ended when prohibition came about. We are now on the brink of the emergence of cannabinoid-based medication once again, this time with clinical studies proving their medical use. These molecules will put us years ahead of where we currently are and have the ability to treat multiple unknown medical ailments such as anxiety, schizophrenia, migraines, fibromyalgia, irritable bowel syndrome and other treatment-resistant conditions. Clinical Endocannabinoid Deficiency, a spectrum disorder that can cause all of these conditions, can be treated with the cannabinoids present in marijuana. 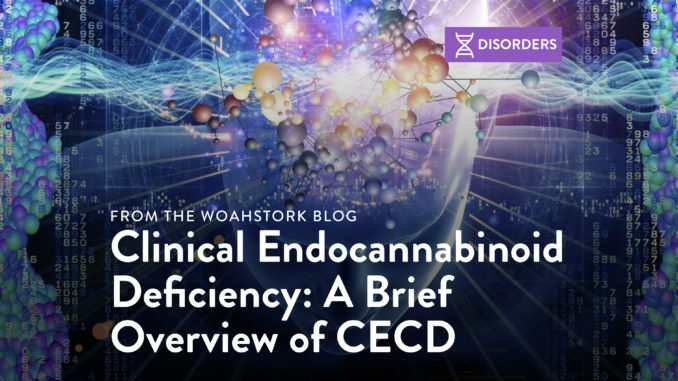 Clinical Endocannabinoid Deficiency (CECD) is a condition in which the body has a lack of production or overproduction of endogenous cannabinoids. In 2001, the term was coined by Dr. Ethan Russo in two initial studies and was revisited again in 2004 and 2012. He discovered that treatment conditions such as migraines, fibromyalgia, irritable bowel syndrome and may be treated using cannabinoid therapy without any adverse side effects. Endocannabinoids regulate homeostasis within the body via the endocannabinoid system, which balances our body to the right equilibrium temperature of 98.6 °F. The endocannabinoids produced naturally in our bodies are anandamide (AEA) and arachidonoylglycerol (2-AG). Too many or too few endocannabinoids can cause an imbalance within our bodies. While it was previously thought that conditions caused by this were “treatment resistant”, we now understand that CBD can help if there are either too many or too few endocannabinoids. What are the symptoms of CECD? Think of the endocannabinoids as yin and yang; an imbalance of one causes an imbalance of the other. All things in nature are biphasic, meaning more is not always better and having too much of anything can cause adverse effects. Think of it as being similar to Goldilocks and The Three Bears. Papa Bear’s porridge was too hot and burned her tongue. Mama Bear’s porridge was too cold and tasted horrible, but Baby Bear’s porridge was just right and could be eaten perfectly. The same story goes for cannabinoids, as too much or too little can have adverse effects. Consider THC, for example. Too little may not provide any pain or stress relief, while too much may cause paranoia or anxiety. Roughly speaking, our body’s natural form of THC is anandamide. They both are CB1 agonists and are responsible for managing various functions in the central nervous system. Too much THC can cause anxiety, psychosis, and seizures. The same could be said for those who have unbalanced endocannabinoids, such as anandamide. Fun fact: Astronomers use the term “Goldilocks Zone” to describe planets that are thought to be “just right” to sustain life. Lack of production of endocannabinoids the will cause ailments such as Alzheimer’s, migraines, IBS, and fibromyalgia. Endocannabinoids are responsible for homeostasis, which helps balance the natural chemicals in our brain. As everyone is unique, symptoms will vary within each patient. In the case of migraines, concussion-like symptoms such as sensitivity to sound and light can occur. With fibromyalgia, symptoms include (but are not limited to) widespread muscular and physical pain, mood swings, and tingling sensations. Alzheimer’s has been found to occur due to a lack of production of endocannabinoids in the brain, which has been shown to affect memories. How Do You Treat CECD? CEDC can be treated by introducing phytocannabinoids (cannabinoids from the cannabis plant) such as THC and CBD. Each ailment can be treated differently, which can determine the necessary ratios of cannabinoids and terpenes desired for an efficient recovery. Just as a doctor prescribes medicine for other diseases, each condition can be effectively treated with varying doses. While all of the cannabinoids are unique, and more research needs to be done, Dr. Russo has stated that CBD synergizes with THC and also is effective at keeping this balance, regardless if there is an underproduction or overproduction of endocannabinoids. Within the past few years, a wide variety of high CBD strains are becoming more available, which can be used for various ingestion methods. With so many people suffering and in pain throughout the world, it is essential that we continue with as much research as possible. This information will help doctors prescribe effective medication. With any luck, natural cannabinoid-based medicine and holistic methods will not be considered alternative treatment, but rather a trustworthy and viable option for millions of people on this planet. I would like to dedicate this piece to my mentor, Albert Coles II, without you I would still be on the streets of Oakland and neither I nor the cannabis industry would be what it is today. Your work ethic has inspired me and the others around you. You have done so much to make CBD an international topic of discussion inside and outside the cannabis community. I may not know where you are or how you are doing, but I sincerely wish you the best and hope that all is well with you and Fiona. I thank you for everything you have done.